I disembarked and in the dark, busy bustle of a port town that doubles in size four times a day, I tried to figure out my next move. “Didja jest get off da boat or sumthin', son?” Why yes, as a matter of fact I had. And thus began my first conversation in Ireland. 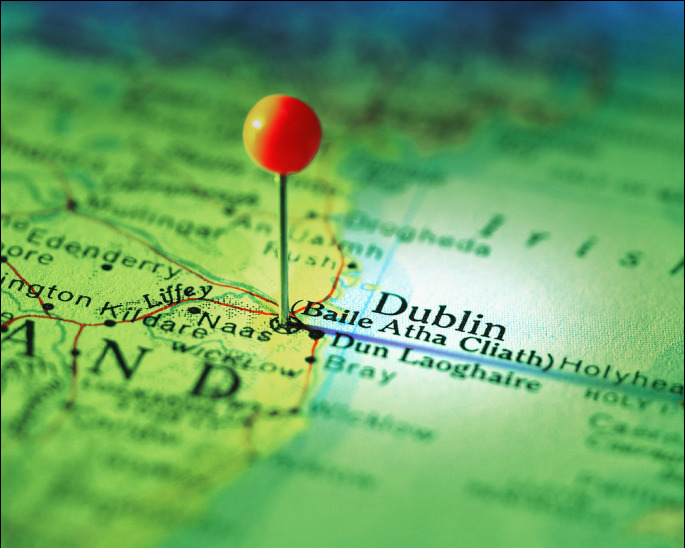 I was traveling towards Dublin town in the upper deck of one of the city's yellow double decker busses. I had two things on my mind: a native pint of Guinness and a place to sleep. The Guinness I would find in a pub on Grafton Street just before closing time. Consequentially my first night in Dublin would not be spent sleeping in a youth hostel as planned, but on a bench in front of the Drury Court Hotel after all efforts to charm my way into “even the storage closet where they stored the roll away beds” failed. The downside to my first night in Dublin? Cold. Inhumanly early last call in the pubs. No pillow. The possibility of being arrested for vagrancy. The upside? Day follows night and I had made it to Ireland at last. 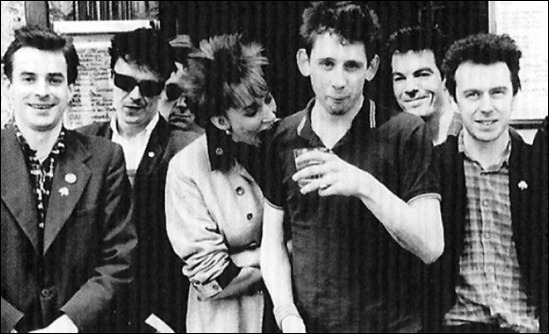 The Pogues are one of my favorite Irish bands who absolutely look and play the part. Hard drinking. Fun loving. Poetic. Today's Happy Medium Song of the Day is their heartfelt version of “Dirty Old Town,” a song originally written by Kirsty MacColl's father Ewan MacColl about Salford in Lancashire, but transformed here by The Pogues into a haunting homage to one of my favorite cities in the world, Dublin.